Your website is your biggest digital marketing asset, yet companies everywhere fail to invest the time and resources needed to create a peak performing website. We believe in creating website that perform, this way you can be sure the money you spend will end up coming back through your website. At the end of the day, your site needs to be designed for your users, while simultaneously providing you with measureable business results. Design goes further than just a pleasing aesthetic. Instead, it's the balance of aesthetic, functionality, user experience, and much more. Your site needs to be designed for the people who use it. If it isn't, your business will suffer. 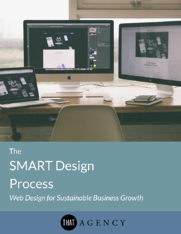 These resources will highlight how we approach web design so we can ensure it produces a website our partners can rely on. 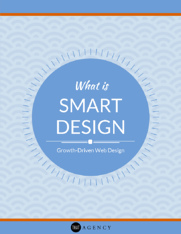 Have a Web Design Question? If you think we've missed something, or if you have a question about something specific, please don't hesitate to reach out. A member of our team will be in touch shortly to help with any questions or issues you might be having. We want to make sure that you find what you need. If you're looking for an agency for your next big project our web design services coupled with our development services can provide you with a world-class site that performs according to your business goals.